Unique experiences are made from details and stories that pass from generation to generation. 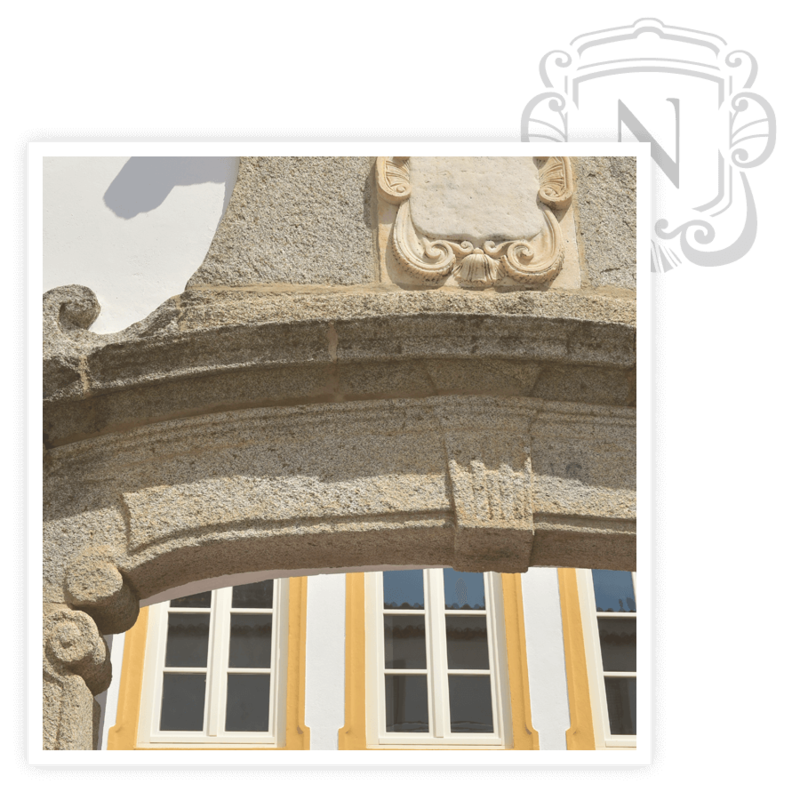 The Noble House tells the story not only of the house but also of the city and the region’s traditions. At the front office a heavy granite Tuscany column, supports a vaulted dome and in the original kitchen from the XVII century, nowadays the bar area, a new life as been given to the sink and the original chimney covered with XVI century glazed tiles. In the east-facing façade, there is a beautiful marble countertop with balusters and two rooms with amazing ceramic panels from the XVII century Lisbon craftsmen. In the ground floor, there are five arcades stretches that gave access to the old warehouses and the carriage rooms, and that were, today, transformed in bedrooms near the roman wall.